Gmail is an important email service which is provided by Google. You can easily send or received mail to different person with the help of Gmail. You can also use different free Google products like Google Drive, Docs, Calendar and many more. If you want to work at faster speed then you have to use keyboard shortcuts on Gmail. In this guide we have to discuss important keyboard shortcut of Gmail account. With the help of shortcut keys can quickly execute any command on different application software. Just like that you can also use keyboard shortcuts of Gmail account. 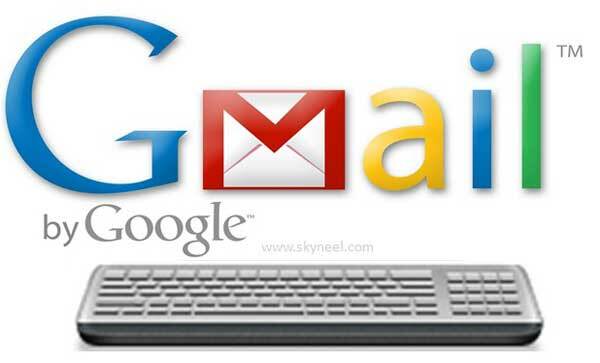 In this article we have to discuss few Important keyboard shortcut of Gmail account. If you want to use keyboard shortcuts on your Gmail account then first you have to turn on Keyboard shortcut. For this you have to take following steps, which is given below. Step 1: Open your Gmail account and click on the “Settings” icon and then choose “Settings” option. Step 2: Scroll down your page and turn on “Keyboard shortcuts on” option. Now, scroll down the page the click on the “Save Changes” option. Note: If you want to view list of keyboard shortcuts which you want to use in your Gmail account then press Shift+?. Now check the given Important keyboard shortcut of Gmail account. You can select the text on which you want to apply formatting and then you have to use given shortcut keys. To open keyboard shortcut help: Press ? I hope this guide is helpful to all of those users who want to use important keyboard shortcut of Gmail account. These shortcut gives you faster access during working on Gmail account. Thanks to all.